Senninger’s PRLG maintains a constant preset outlet pressure with varying inlet pressures. This alleviates pressure differences will cause an applicator’s area of coverage to change. 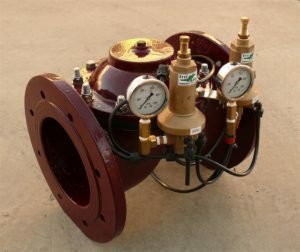 The PRLG is ideal for installations requiring lower flows like low volume and sprinkler irrigation systems connected to hose bibb faucets or other lawn and landscape applications. Ideal for pre-set pressure regulation of flow rates up to 30 lpm (0.38-30 lpm). Applications include solid-set, micro, drip and mechanical-move agricultural and turf irrigation systems.